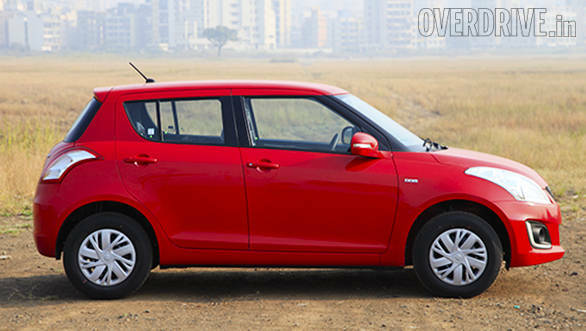 In an attempt to catch up with the competition from Hyundai and Volkswagen, Maruti has given the Swift a minor facelift. Minor it is indeed and on the outside the only changes are a slightly different front bumper and a subtle change to the alloy wheel design. In fact, we feel a bit shortchanged as we were expecting daytime running lamps but instead got a lick of silver finish on the bumper where the DRLs were supposed to be. The mirrors are now electrically foldable and feature integrated turn signals but that's about it - most folk won't be able to tell the difference. Fortunately there are a few more changes on the inside. The top end ZXi/ZDi models get a push button start feature but the car we have here is a VDi so you won't see that in the images. The audio system now gets Bluetooth telephony and there are corresponding controls for that on the steering wheel along with the audio controls from the old car. The audio system also gets a speed sensitive automatic volume controller. The rear seats also get the handy feature of a split 60:40 fold. There's a new fabric for the seats as well as some silver trim accents. 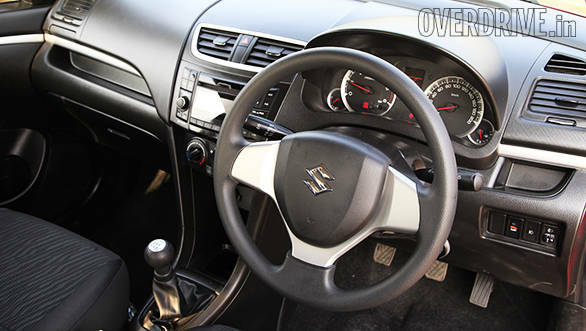 In terms of safety, only the top end ZDi and ZXi models get airbags and ABS while the middle VDi gets ABS. Strangely ABS is not on offer on the VXi while the base models continue to get neither of the two, predictably leading to poor results in crash test ratings. Reverse parking sensors also come on the top end models. Predictably, when it comes to the driving experience there's nothing new to report with the car feeling exactly the same in terms of performance, ride quality and handling. 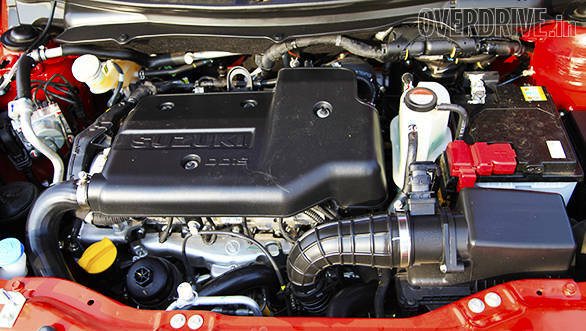 Maruti claims a ten per cent increase in efficiency. We did a run in the city and managed to get a 0.7kmpl increase from the old car at 14.9kmpl. 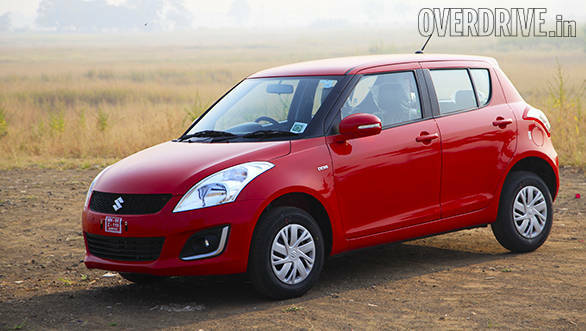 Fortunately performance hasn't suffered with the Swift taking the same 13.2 seconds from 0 to 100kmph that we tested in the old Swift from our comparison last month. 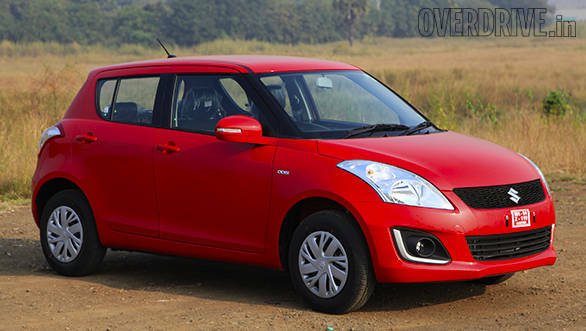 Prices for the new Swift begin at Rs 4.42 lakh for the base LXi petrol and go up to 6.95 lakh for the top end ZDi diesel. Essentially it is the same car with a few added features and a slight increase in efficiency.